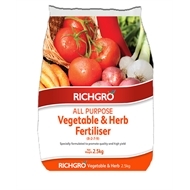 Richgro All Purpose Vegetable and Herb Fertiliser is a quality plant food with added organics which will improve yield and encourage the growth of healthy, quality vegetables and herbs. 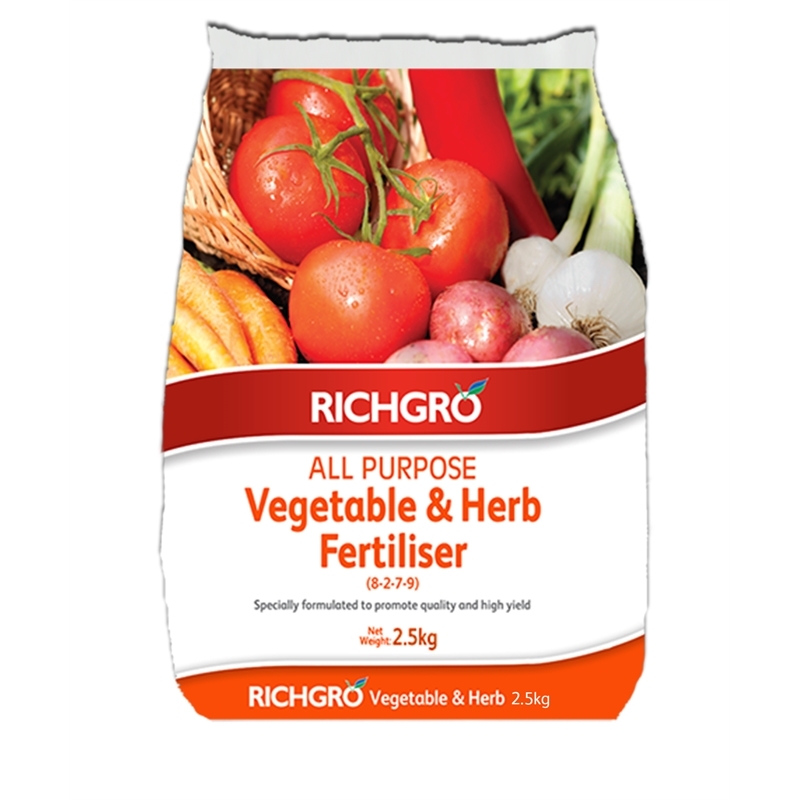 It is carefully balanced and contains all the essential nutrients required for the rapid healthy development of vegetables and herbs. 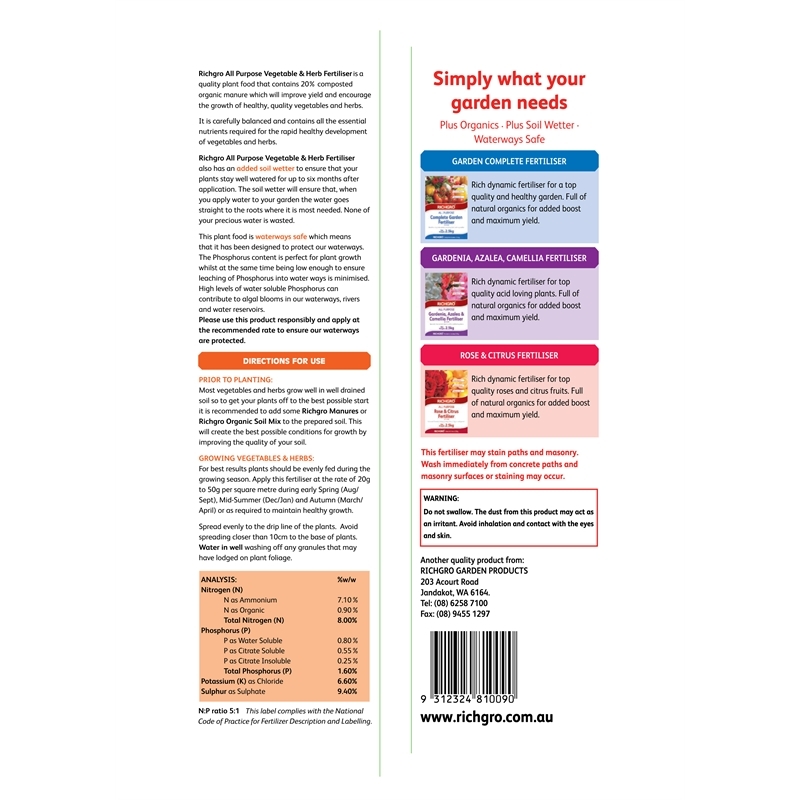 It also features an added soil wetter to ensure that your plants stay well watered for up to six months after application. 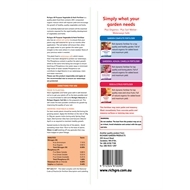 When you apply water to your garden, the water goes straight to the roots where it is most needed. 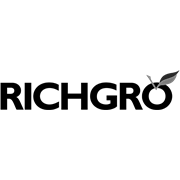 The low phosphorus formulation means that it is also waterways safe.